Solar panels are becoming more popular everyday as home owners are searching for new, innovated ways to cut their energy usage. They’re an excellent source of energy that requires little maintenance, so you never have to worry about big, expensive repair bills. Once you pay for the cost of the panels and installation, the energy they produce is free, which also makes them as excellent investment for homeowners. Saving energy and reducing your electricity bill are great reasons to install solar panels in your home but they’re not the only benefits you’ll receive. If reducing your energy consumption and lowering your utility bill isn’t enough to make you want to install solar panels in your home, don’t reject the idea yet. Those are the main reasons why many people include these panels in their home interior design but they are not the only ones. You’ll be helping the environment– Installing panels will cut your energy usage considerably, which helps the environment in several different ways. In addition, you’re using a clean, renewable energy source and that makes solar panels a great option for anyone trying to live greener. You’ll help create more jobs– As more and more households are turning to clean energy sources such as solar panels, the demand for these options are increasing. As a result, it helps to create jobs for the professionals who design the panels to the construction workers that install them and everyone in-between. When you consider all of the benefits that adding solar panels to your home has to offer, you can see why many homeowners consider them an excellent investment. As technology improves, so do your options. As a result, there is a solar panel design available to suit any home and most any budget. For example, PV or photovoltaic panels are less expensive than traditional ones and they’re semi-transparent design gives them a modern and sophisticated look. Our interior designers will go over all of your options and help you choose the best type of solar panels for your home. 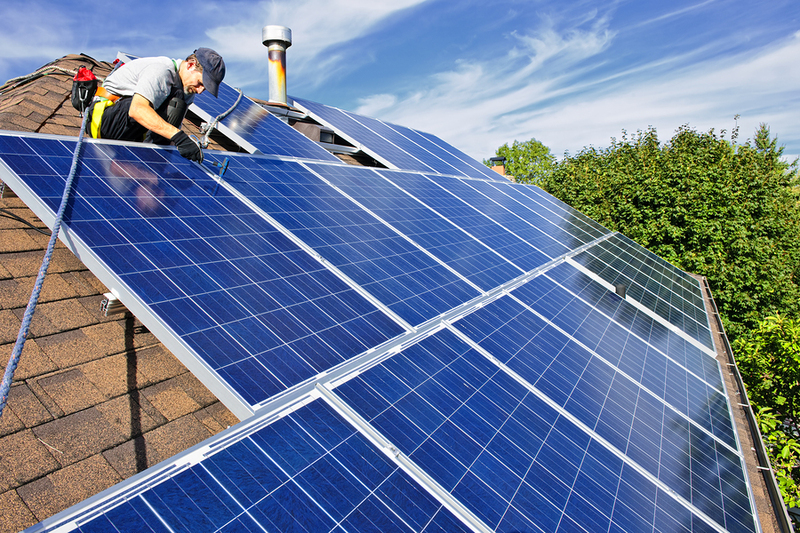 Once you’ve made the decision to install solar panels to your existing home or when building a new one, give us a call. Our Miami interior design experts are available to help with the installation. This way, you don’t have to worry about improperly installed panels leaking or causing any other problems. We’ll also help you choose the right size panels for your home and go over placement options with you because size and location does play a major role in how efficiently your panels work.